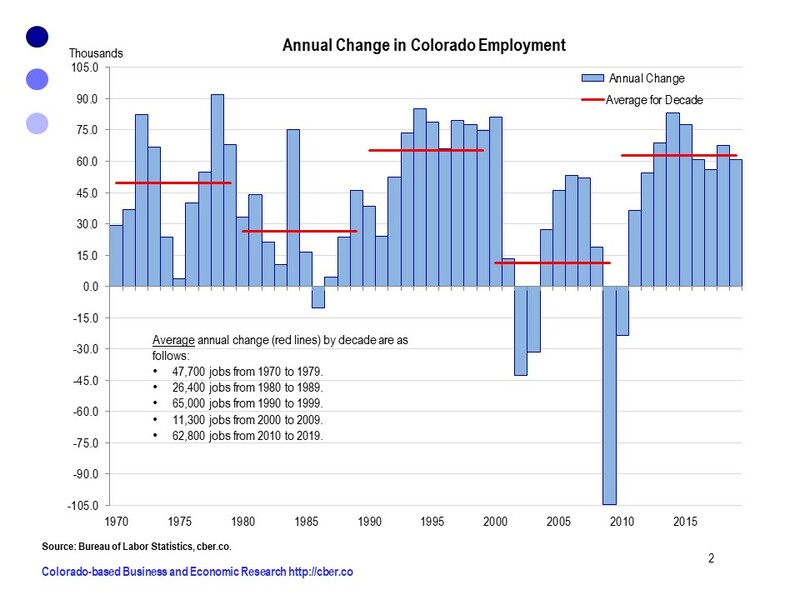 Colorado-based Business and Economic Research – cber.co – Tracking the Colorado economy is like skiing. At times the skiing is good. Other times it is tenuous or too fast. Sometimes you crash or go backwards. In time you get headed in the right direction again. Economic forecast of Colorado. Click here for the 2019 forecast. Periodic economic updates throughout the year. Special reports on key topics. This research shows where the state economy has been and where it is headed in the near-term and the factors that have caused it to change. Watch for the following in 2019….